Are you still managing rent payments manually? Some tenants tend to keep old habits and pay their rent with a check, money order, or even cash. 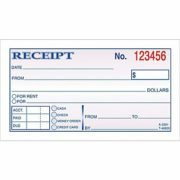 We at Miami Property Management LLC recommend that rent receipts should be furnished when handling these types of payments. 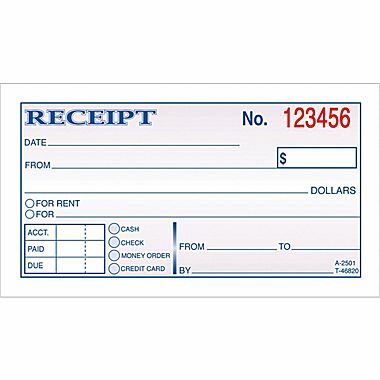 A simple rent receipt can be made or a receipt book can be purchased at any pharmacy or office supply store. A rent receipt can help tenants maintain a record of all payments submitted. We recommend using a receipt book with a carbon copy as the landlord will also need to keep a copy for his or her records. Below are 3 benefits to giving your tenants rent receipts. It is not recommended to accept cash for rental payments as cash does not provide a paper trail. But if your one of the few landlords that accept cash make sure to give them a receipt and have them sign your copy. For any reason, you get audited you have proof of rental payments. This rule applies to landlords that also accept money orders and checks. Keep track of your rental income and stay organized. We recommend that every receipt given is saved on a computer so that all your information is all in one place. Remember a receipt is made of paper and it is pretty small it can easily be misplaced or damage. Managing your rental receipt is an easy way to verify every rent payment. Once in a while you will get a phone call from a tenant claiming that they sent the rent payment that you never received. If you keep an excellent book keeping system you can easily solve that issue in a heart beat. Miami Property Management LLC, recommends that you create a system that helps you keep clear records at all times. We currently use an online portal and accept all payment via online. Our system furnishes the tenant rent receipts via email once payment clears. Hope this article helps. How Much do Miami Property Management Services Cost Is it legal for a tenant to break a lease?